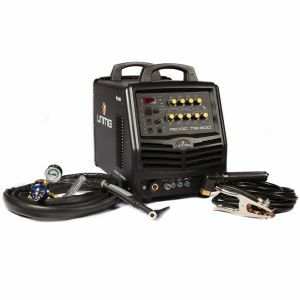 The UNIMIG Viper 200 High Frequency DC Welder is an exceptional machine with features that you can only expect from a premium quality inverter welder. 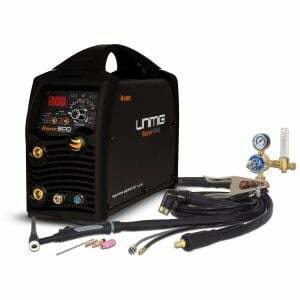 And to top it off, this reliable & robust HF TIG machine with Pulse control is now offered at the best price - under $649. Package Contains: KUMJRVT200P Viper 200 High Frequency DC Inverter TIG/MMA, 4m SR26 Tig Torch, 4m Arc Lead Set, Flowmeter Argon Regulator, Operating Manual. • COMPLIANT TO - AS/NZ60974.1. We are the biggest seller for Unimig brand on eBay and all the machines we sell are all manufactured to, and comply with the latest Australian standards, thus providing the operator assurance and certainty of safety, duty cycle performance and quality. It means there is simply no excuse for going to cheap eBay brands in the TIG WELDER category.